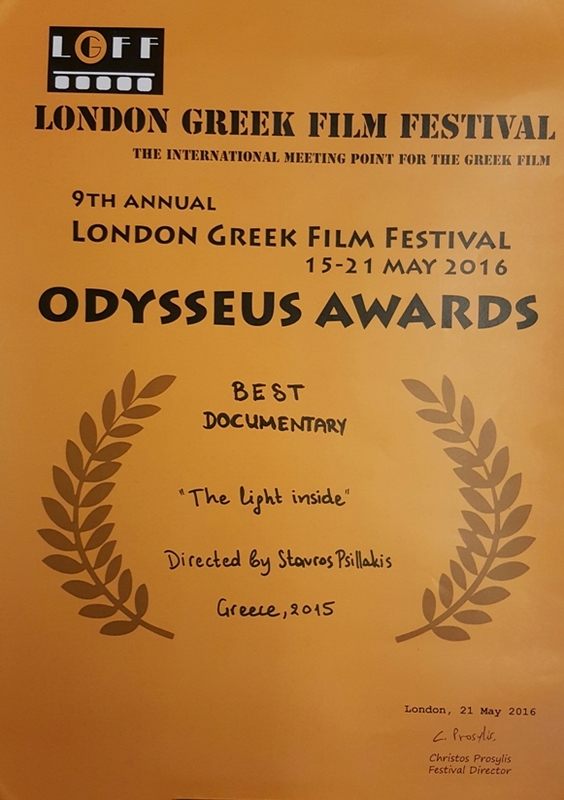 2016 : Best Documentary Award for the film "The light inside", LONDON GREEK FILM FESTIVAL. 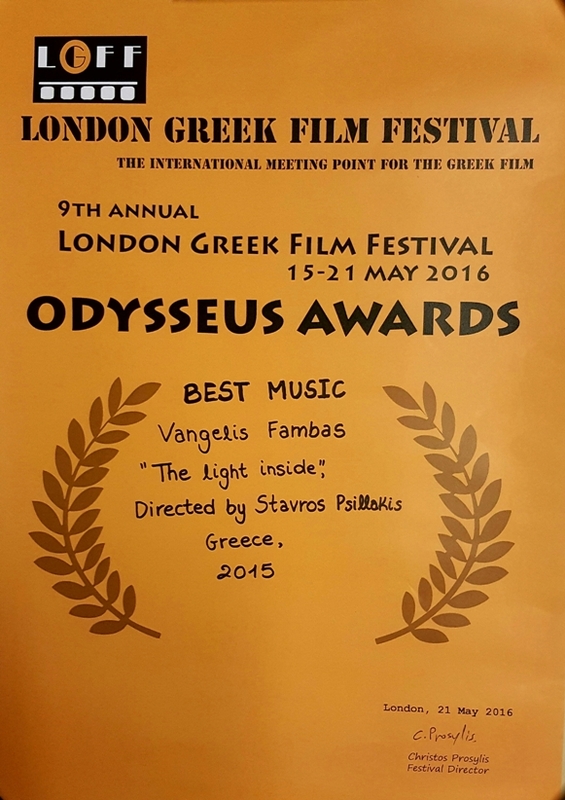 2016 : Best Music Award for the film "The light inside", LONDON GREEK FILM FESTIVAL. 2016 : Bronze Award for the film "The light inside", Long Museum Films. 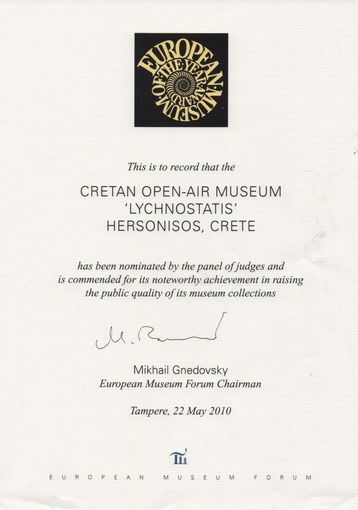 2010 : The Museum "LYCHNOSTATIS" has been nominated by the panel of European Museum Forum judges.